Unsurprisingly, we are sent a lot of bags. Whereas most are ‘just another bag’, occasionally we receive something special. In this case it was the Miss Grape Internode. 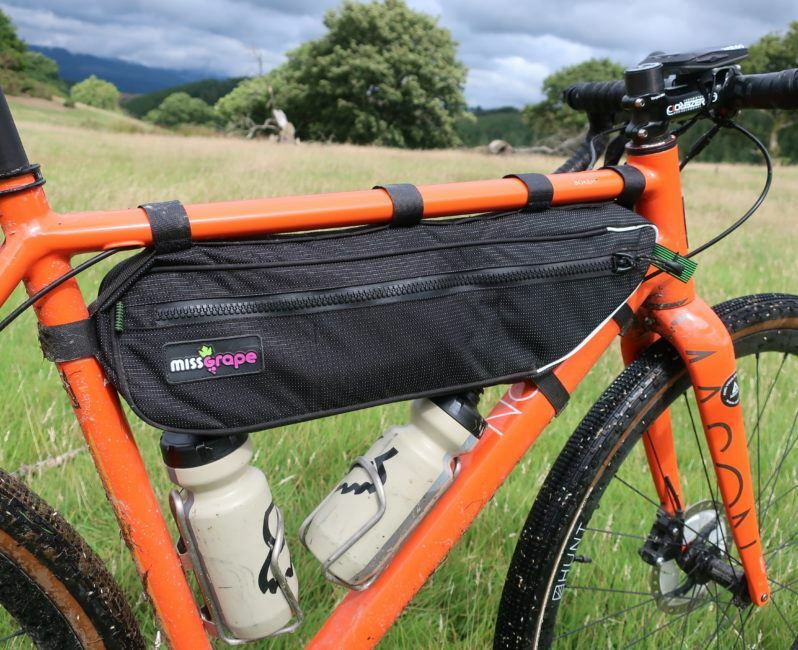 The Internode is a premium quality frame bag. With sizes ranging between 3 to 5.5 litres to suit a variety of frame sizes. Michele Boschetti created the Miss Grape brand in 2014. Like many entrepreneurs, he was inspired to create something he needed, that no one else was making at the time. Starting with a blank sheet, meant he could design something that worked rather than having to tinker with an existing design. This combination of creative freedom and ‘invention through necessity’ is obvious once you start inspecting the Internode.